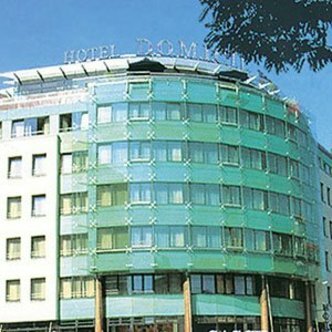 The TOP CityLine Hotel DOMICIL is a private First-class-Hotel has a marvellous view over the capital. Whether you enjoy our gourmet breakfast-buffet on the roof garden terrace or dine in our bistro restaurant in the pavillon, the sights of Berlin surround you. Fine Mediterranean design, warm colours and affectionate details express the individuality of a private Hotel and generate an ambience to feel at home. The hotel offers you a positive alternative to the uniform hotel chains. The personality of five women being responsible for the inside and outside realisation of the Hotel created elegance and comfort that are unique in Berlin. Room numbers made of antique heads, bathroom equipment out of fine biasazza-mosaics, terracotta lamps from Tuscany, art from France and decorations from Florence.